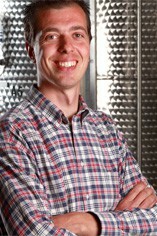 Bele Casel is an artisan Prosecco producer who Berrys are proud to have teamed up with. Based at Caerano san Marco, near Treviso, the small 10 hectare (120k bottles/anno) family estate lies in a fiercely protected subzone of iron red & calc hills called Asolo; the key limestone element giving wines a fragrant white peach character. The Ferraro family have been at it since 1977, first bottling the aforementioned frizzante ‘Colfondo’ method but then when the market became too tough, accepting that they too had to make a spumante. Fast forward a generation and father Danilo, who kick started the family’s move to bottling, was joined in 1998 by son Luca (the tall one! ), fresh out of wine school. Luca’s arrival ushered in a new cantina/winery, completed in 2003 that also allows them to make spumante for other small growers, along with the planting of a new vineyard, ‘Maser’; the estate being organic in all but certificate. Bele Casel makes five wines: the region’s trademark wine style “Extra Dry” (16 grams of residual sugar), a more considered ‘Extra Dry Millesimato’ (23 grams), a crisp ‘Brut’ (10 grams), the frizzante ‘Colfondo’ and a fine Merlot! It’s a measure of the family’s competence and professionalism that all the wines without exception are of a high quality; each one distinct and great to drink. That was clearly the case from the off as I tasted their still wines from the 2010 vintage; still in tank before destiny would decide whether they became spumante with the addition of sugar, or with grape must if they were bottled for frizzante (colfondo). I was struck by the bright purity of fruit, by the clear differences between their provenance and by the wines’ stunning length and sense of harmony. While I’m sure you would lap up all the wines, as I did, Berrys have decided to get the ball rolling by buying the ‘Extra Dry’ and ‘Extra Dry Millesimato 2010’; the Extra Dry will light up any room; the Millesimato more earnest and measured, for a special occasion. A deliciously soft and spritely white flower and greengage-fruited Prosecco with perfectly interwoven 16g residual sugar, so finishing off-dry. 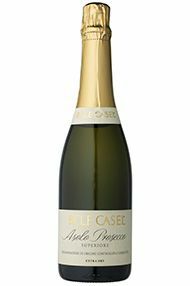 Edwin Dublin, London Shop Bele Casel is an artisan Prosecco producer; family-run, their small 10-hectare estate lies in a fiercely protected subzone called Asolo, where a key limestone element gives the wines a fragrant white-peach character. Prosecco is the perfect summer fizz, and this is an excellent example, with beautifully defined white peach and pear fruit, and a caressing rather than aggressive mousse. The Ferraro family make this wine in the classic “spumante” style, adding just enough cane sugar at the second fermentation stage to provide the bubbles and leave a well-judged 16g per litre of sugar (hence the “Extra Dry” rather than more austere “Brut” designation) that accentuates the fruit and acts as a foil to the natural acidity of the wine. Making a Bellini with this wine, whilst undoubtedly delicious, is almost a crime when it is so good “naked”.